Click calendar image to download a PDF. The BASC participates in the Freedom Days parade and also has a booth in the activities of the festival. 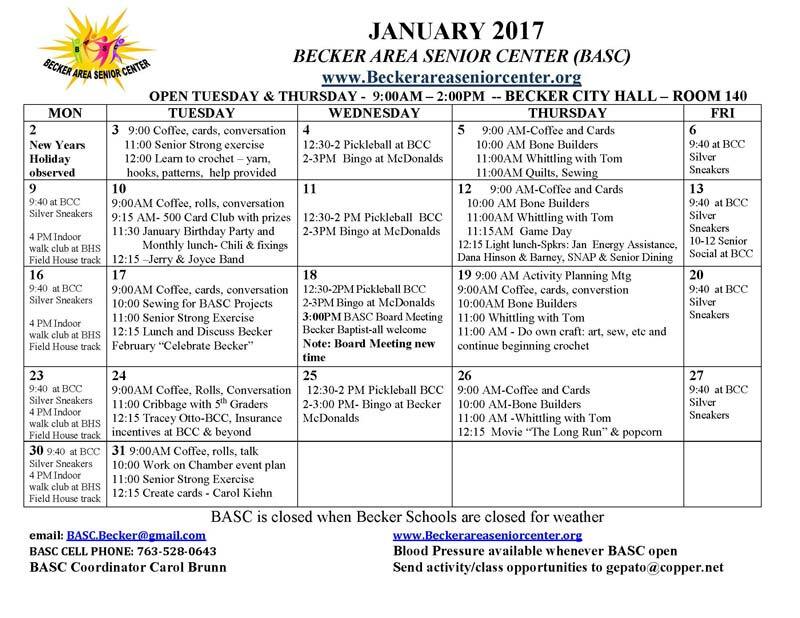 Senior Helpers Foot Clinic every 6 weeks, hosted at Becker Community Center.